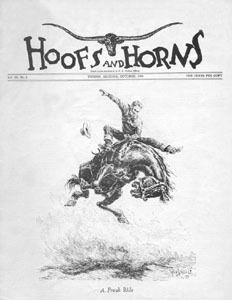 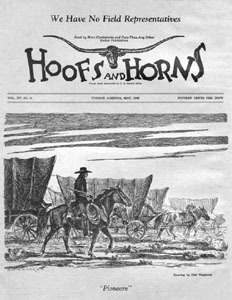 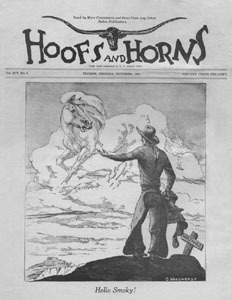 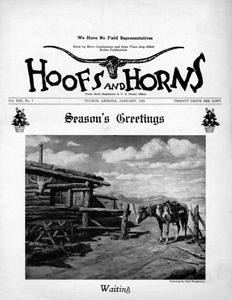 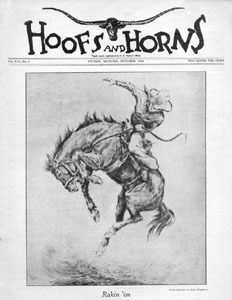 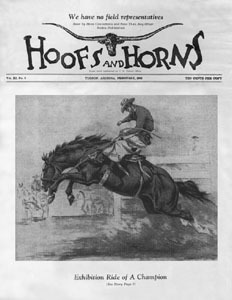 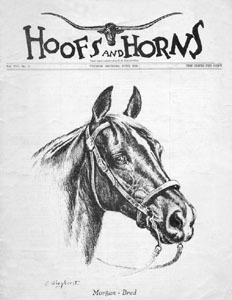 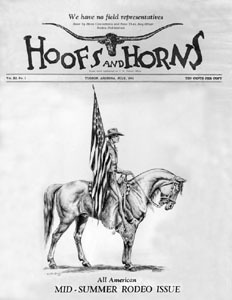 This web page shows thirteen covers from Hoofs and Horns Magazine that featured the art of Olaf Wieghorst. 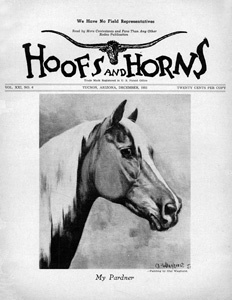 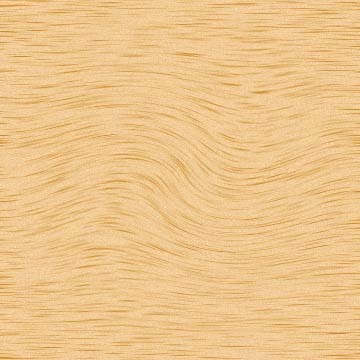 The covers were published during the years 1938 to 1953. 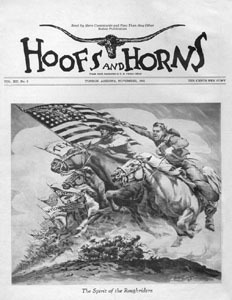 The short excerpts about the covers are very interesting from a historical perspective. 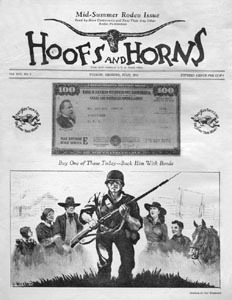 Most of the cover art was produced while Olaf was a mounted policeman in New York City. 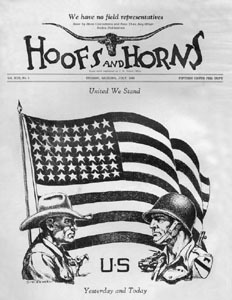 This was an eventful time in history as our country was fighting a World War and some of the covers are about patriotism, supporting the soldiers, and the war effort. 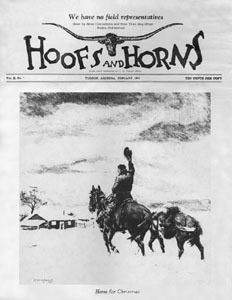 Click on a cover picture to get a larger image and the information about the cover art.